• Forged Composite crown material is lighter and stronger than titanium. The crown contains over 7 million turbostratic carbon fibers, providing the optimal center of gravity and a high MOI. 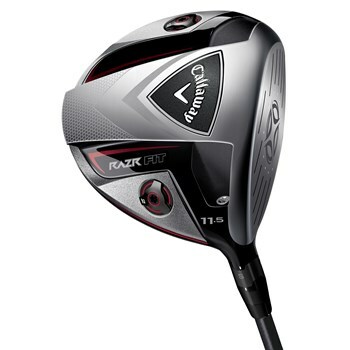 • Aerodynamic shape reduces energy loss from drag by 14 percent compared to the Callaway RAZR Hawk Driver. • VFT and Hyperbolic Face Technology form a large sweet spot and higher ball speeds across the titanium face for constant distance. • Chemical milling process removes excess material for precise thickness control.